Those of us living in New England weathered an epic winter and are enjoying the sweet smell of the soil, the bird songs and the many green shoots that are appearing on a daily basis. We are working on some excitng new things - our green shoots, if you will! 1. 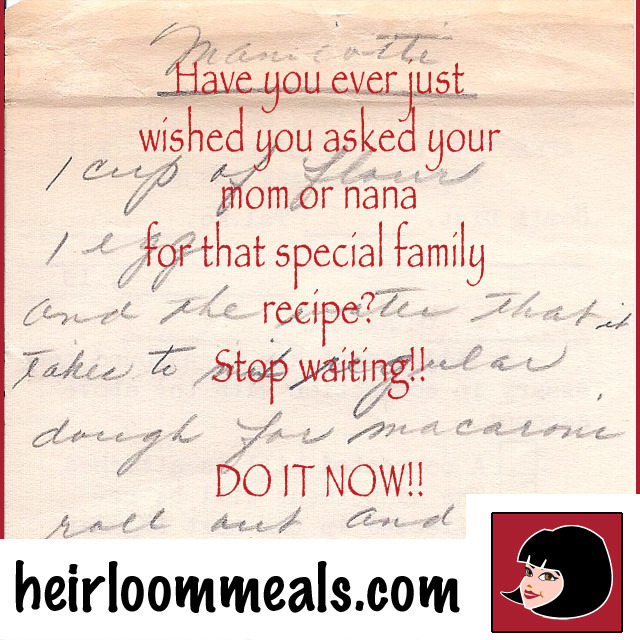 We will be launching The Heirloom Meals Recipe and Storytelling Project - an 8-10 week online program designed to capture your family food story, collect and curate your family recipes and produce a family heirloom cookbook. Details will be trickling out over the coming weeks. 2. We are also exploring a monthly membership opportunity. At Heirloom Meals, we are about savoring traditions as well as creating traditions. Imagine a monthly menu and entertainment guide - we supply menus, recipes and a guide to throwing memorable dinners for friends and family - creating tomorrow's heirloom meals.